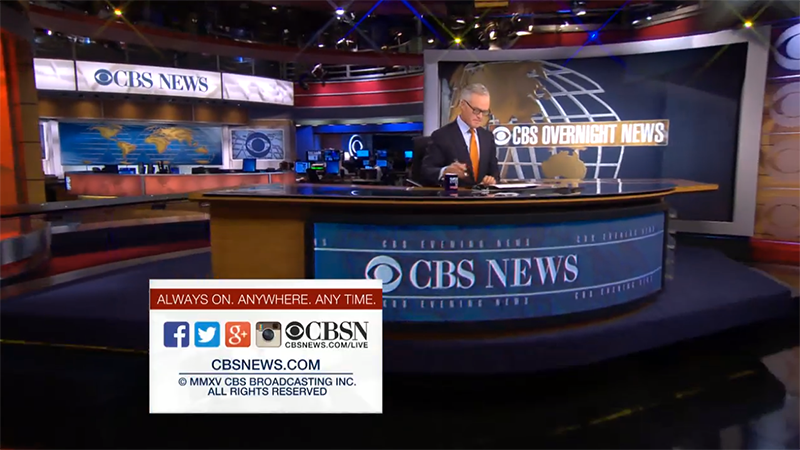 After canceling “Up to the Minute,” CBS News has debuted its new overnight offering — “CBS Overnight News” — with a look that will be familiar to fans of the network. 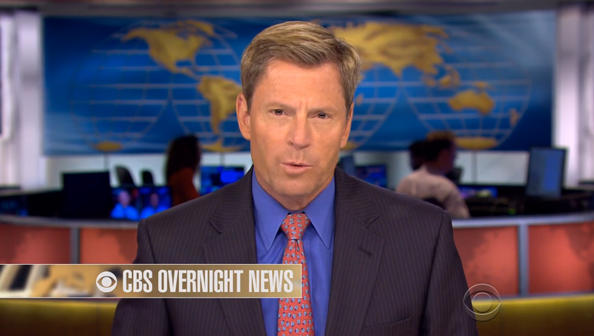 Like its predecessor, “CBS Overnight News” relies heavily on repeated content from a variety of CBS News shows. The show’s look is inspired by the “CBS Evening News” — including the extruded map design and typography. Anchor Scott Pelley makes taped appearances from earlier in the day as do other CBS personalities, typically from the “Evening News” set. 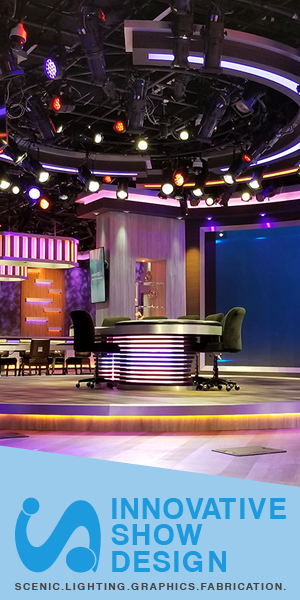 The show is notably light on graphics — the title card and some fullscreen graphics in recycled content are the crux of the show’s look. With “Up to the Minute” gone, CBS now has a slate of overnight, early morning and morning news offerings with consistent (if not a bit confusing) naming.